Lots of young musicians leave home and end up in Nashville. Most end up either making the reverse journey or deciding to downsize their careers in the name of something more probable than the seductive notion of headlining at the Ryman Auditorium. If the Red Headed Indian–actually Florida native Caroline Kingsbury–has to retreat, it won't be because she lacks the chops to make the Ryman ring. 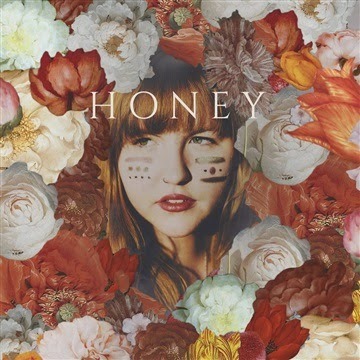 Her six-track EP Honey showcases a young voice that's surely more memorable than most. Kingsbury counts Joy Williams (The Civil Wars) and Ray LaMontagne among her influences, two pretty good role models. You can certainly hear analogous LaMontagne housebroken-but-also-heartbroken themes in Kingsbury's songs and, like Williams, hers is a voice that's as fragile as Limoges cup one moment and like a bar of iron the next. Its qualities reminded me quite a bit of Lori McKenna with more twang. There are, of course, loads of great voices out there but three things make Kingsbury stand out: her sense of phrasing, her ability to build a song, and her cross-genre facilities. My favorite track was "January." It has memorable lines–January is a lovely dame/She sparkles the future of heartbreak and pain–and Kingsbury punctuates them to give the composition a syncopated feel even when parts of it are crooned on the offbeat. The effect is that the performance feels simultaneously sweet and edgy. "From Colorado" is a clinic on building a song a different way. It opens with power chords and a furious start, then settles into a quiet acoustic middle, regroups for soulful, soaring vocals, then pulls back a second time and fades out with cadences evocative of a chain gang finishing a long day. She also toys with a country/soul feel ("Please Come Home") and rounds off the EP with "You," a selection that initially evokes a lullaby but then morphs into something more lush and mysterious. How does one deal with grief and misfortune? Seek to rise above it or sink below it? That’s the central question in Wild, the film adaptation of Cheryl Strayed’s acclaimed 2012 memoir. If Strayed doesn’t sound like a normal last name, it’s not. Strayed was born Cheryl Grey and adopted the last name Strayed as an ironic descriptor for the self-made hell she put herself through. It began when her mother, Barbara “Bobbi” Grey, died of fast-moving cancer when Cheryl was a senior in college and passed through phases such as survivor’s guilt, a failed marriage, heroin abuse, random promiscuity, and abortion. Wild tells the story of how she began to rebuild her life while on a 1,100-mile hike on the Pacific Crest Trail from California’s Mojave Desert to the Oregon/Washington border. The story is moving, the scenery stunning, and the journey perilous. Witherspoon continues to prove that there’s a real actress residing in her luminous body. She actually lugged a 65-pound backpack for this film, a feat that adds verisimilitude to the scenes in which trail weariness is etched on her brow. She also fearlessly doffs her clothing and her dignity to underscore how thin the borders had become between Strayed's pretty girl promise and use-me depravity. When Strayed and her ex-husband, Paul (Thomas Saduski) receive identical tattoos the day their divorce is finalized, the parallel between the external abuse cycle from which her mother fled and the internally constructed one Cheryl embraces is literally etched upon her bicep. 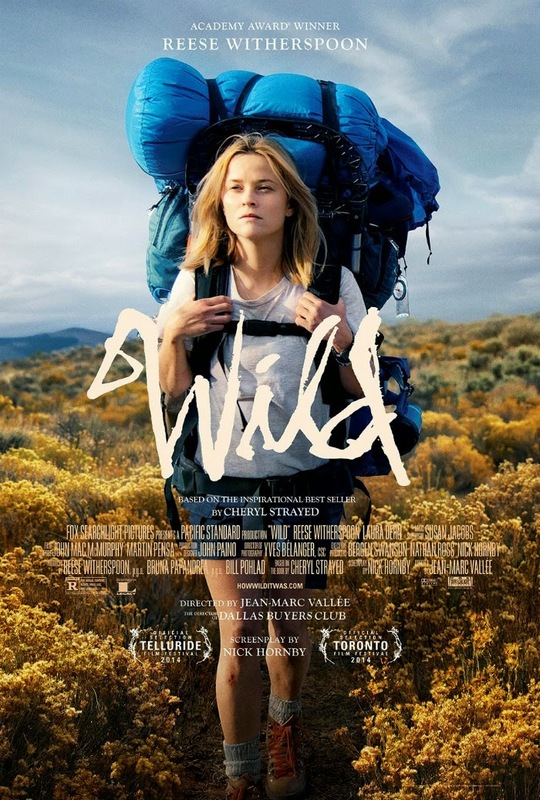 Wild is a very good movie though, like many road films, there are places where the languid pace is wearisome. Scriptwriter Nick Hornby tries to enliven this through an episodic account of the trek, which sometimes works and sometimes doesn't. There are several scenes excerpted from the memoir that seem ham-handed on the screen, including Strayed's encounter with an erstwhile journalist who insists she is a female hobo even when told otherwise, and a ride with a burnt-out hippie couple dealing badly with their daughter’s death that has little context. Each probably make more sense in the memoir (as would Cheryl’s decision to divorce Paul). We can also predict most of the menaces Strayed will face—and she does. Serious hikers might also tut-tut scenes in which Witherspoon is referred to as a reeking trail mess, but never seems to be much messier than a sweat stain, blisters, brush burns, and pack bruises. Still, Witherspoon gives a superb performance worthy of the Best Actress Oscar nomination she garnered. Inexplicably, Dern got one for Best Supporting Actress. I love Laura Dern, but her appearances in Wild are little more than expanded cameos—too slight for a nomination, IMHO.